Scale barbed wire - 5m of 0.8mm double-twist wire suitable for representing barbed wire on your 28mm-32mm model battlefields. This great wire gives the look fo real barbed wire without all of the spikes and sharp edges making your minitaure defences much less painful on your hands. 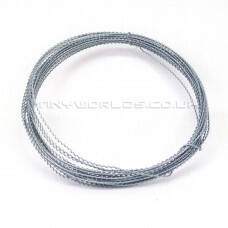 Supplied in a single 5m reel, this wire can be coiled around a cylindrical object such as a pen or thin tube to look like coiled barbed wire. 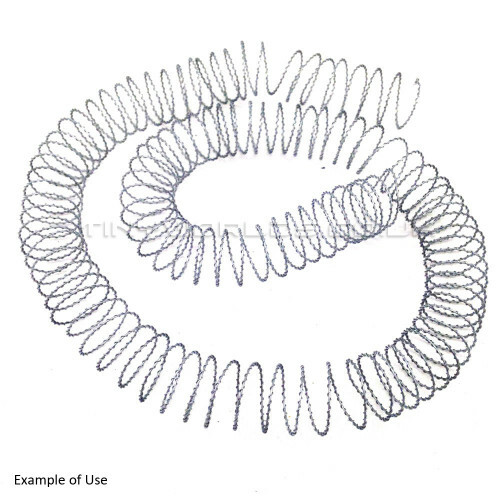 Once coiled in this fashion it makes between 1m and 1.5m of coiled wire, depending on the diameter of the coils. 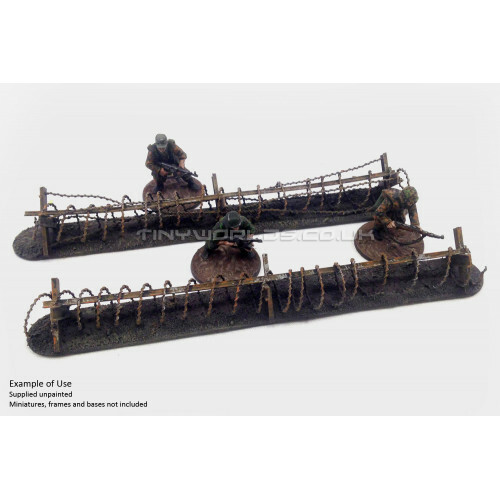 We recommend 10mm coils for historical 28mm games such as Bolt Action and 15mm coils for heroic 28-32mm games such as Warhammer 40k or Warmachine. Please note: Miniatures, frames and bases shown in images not supplied.